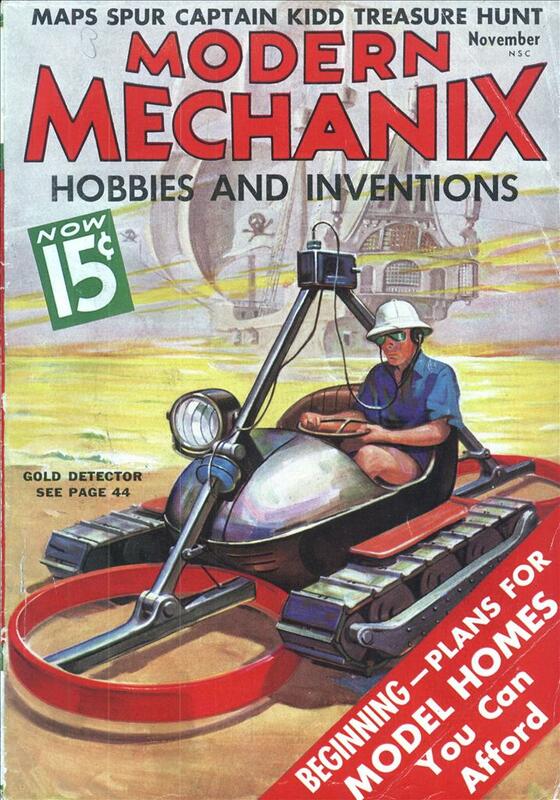 This thing must have gotten really annoying during WWII. 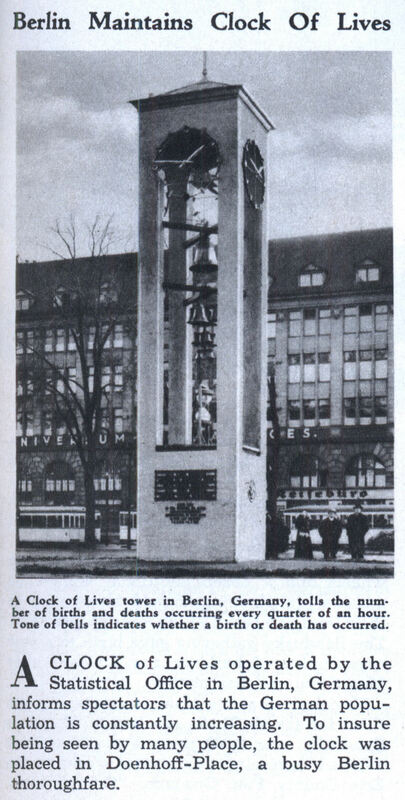 A CLOCK of Lives operated by the Statistical Office in Berlin, Germany, informs spectators that the German population is constantly increasing. To insure being seen by many people, the clock was placed in Doenhoff-Place, a busy Berlin thoroughfare. In the summer of ’44 it was spinning back so fast people used it for the breeze. They’d have had to have been cuckoo to keep that clock running during a war.